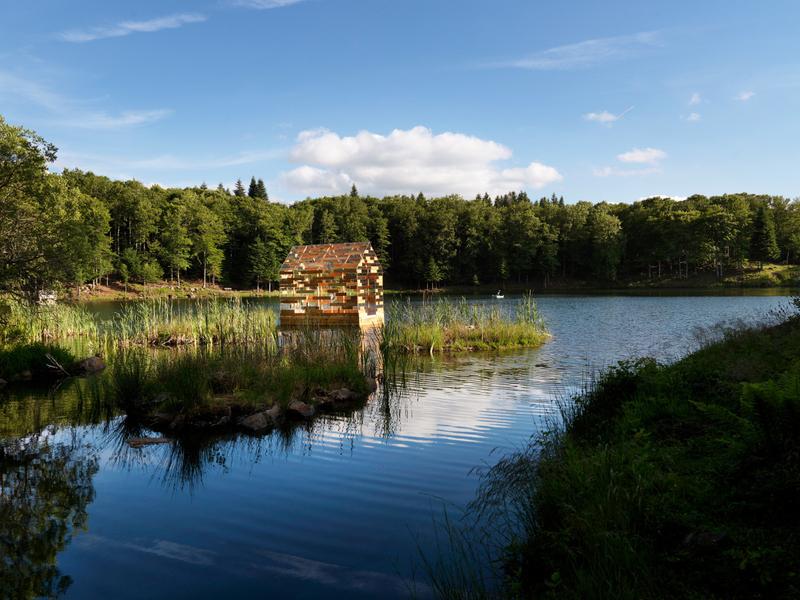 Walden Raft is a unique installation from esteemed French designers Elise Morin and Florent Albinet, located at Lac de Gayme in Picherande, Auvergne region. 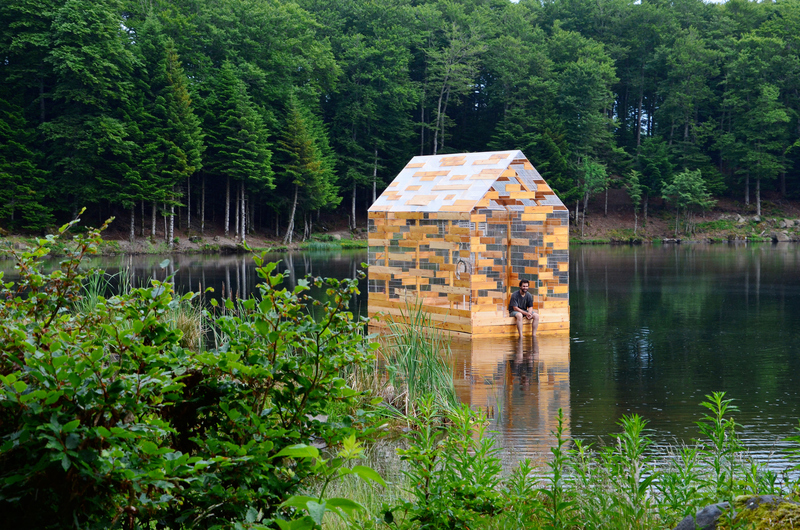 Designed to offer the public a space for reflection, the raft honours the cabin of renowned American author, Henry David Thoreau, which was built in the woods of Walden Pond, 1845. 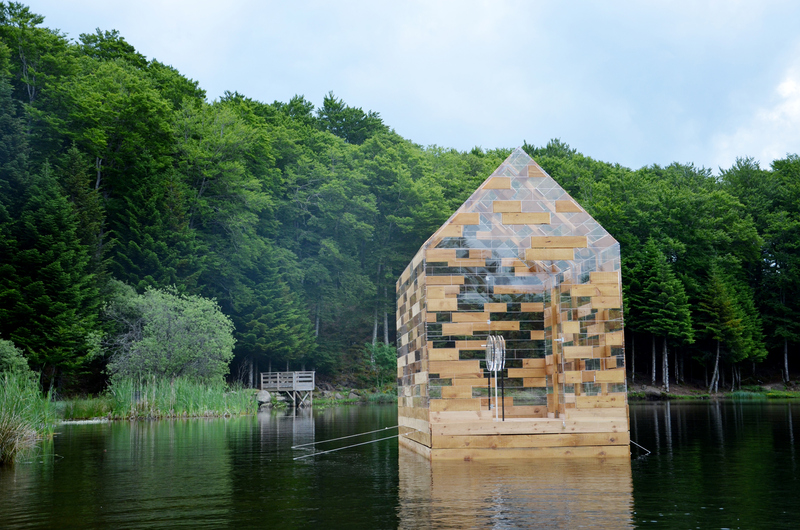 This reinterpreted design is actually positioned at the same latitude as the original inspiration, only in France in an artificial lake created from a bog in 1983, not North America. 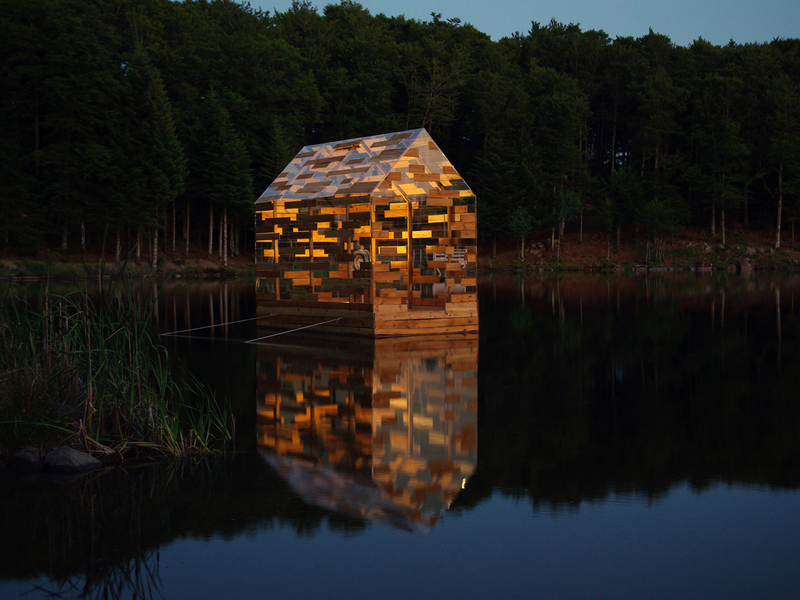 The project creates a balance between transparency and opacity with its 'cabin without walls' effect. 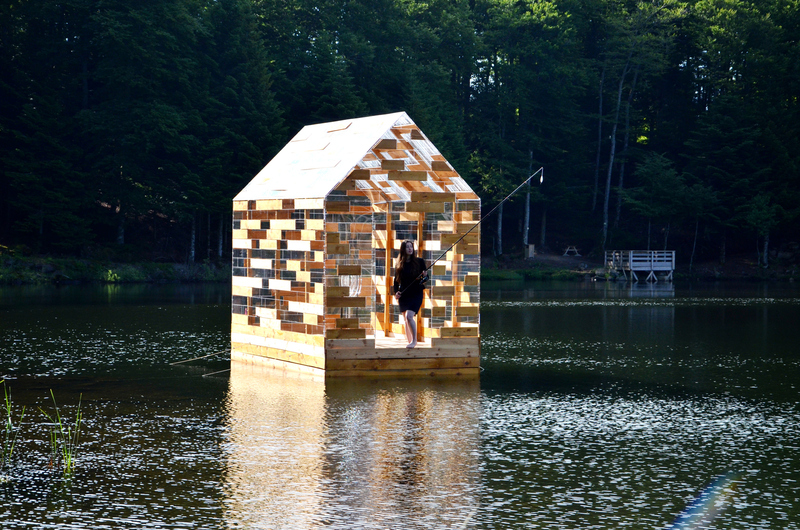 the goal was to craft a space for experimentation with this floating, luminous, audible, mobile vessel. 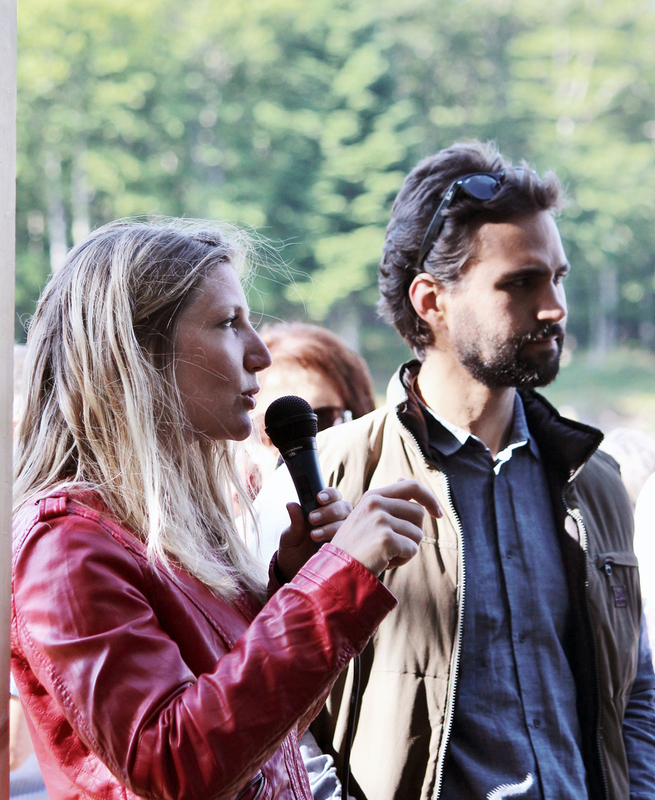 To take advantage of the opportunity of reflection, visitors can leave the banks and travel across the lake using a pulley system. In the centre of the raft is a reel which the cord coils around, by turning the reel guests will be able to move the cabin along a cable that is strung from the shore to an anchor deep in the lake. 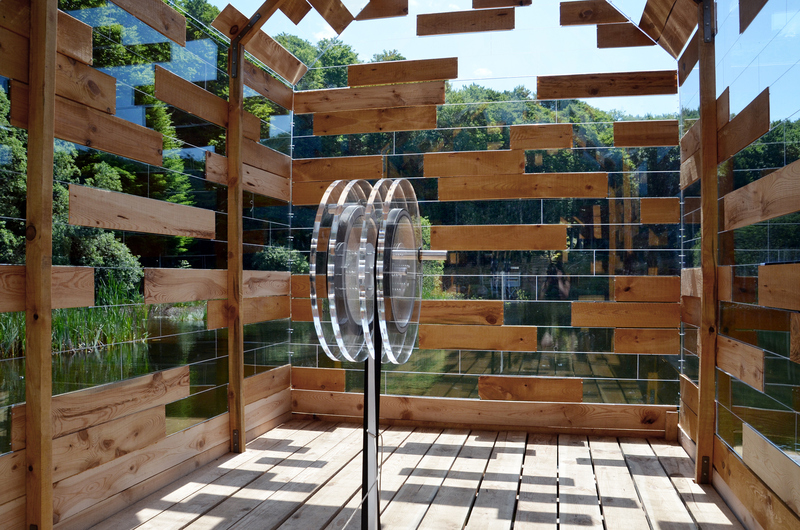 The raft achieves its changing clarity through the use of acrylic glass (Altuglass) and raw pine wood. Polyethylene floats and rope screws finish the design while nocturnal lighting provide after hours luminosity. 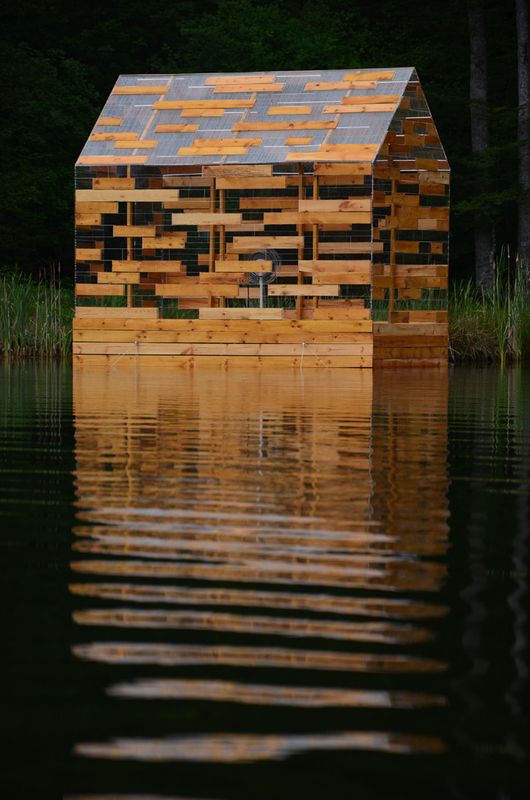 Browse the images below to appreciate the reflective space of the Walden Raft.